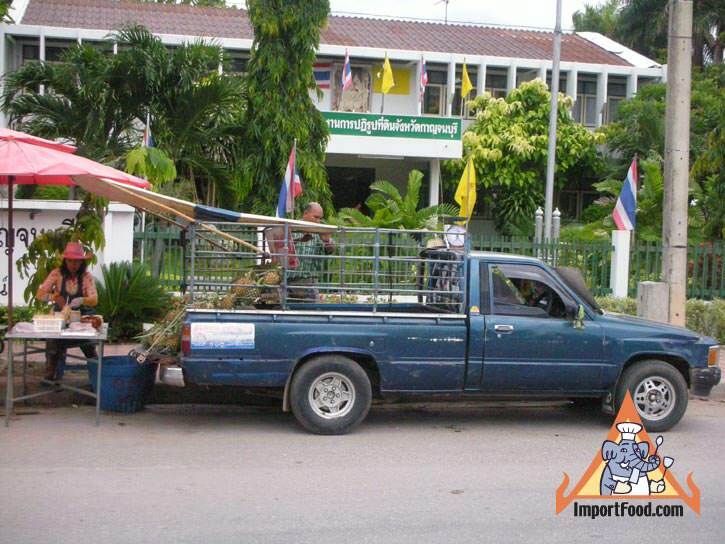 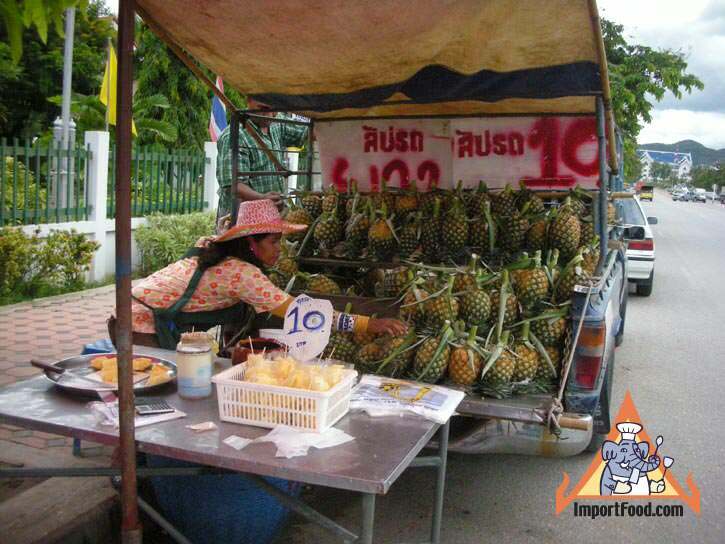 Trucks like this appear everywhere in Thailand to sell fresh produce, especially when certain things are in peak harvest such as here in June when it's pineapple season. 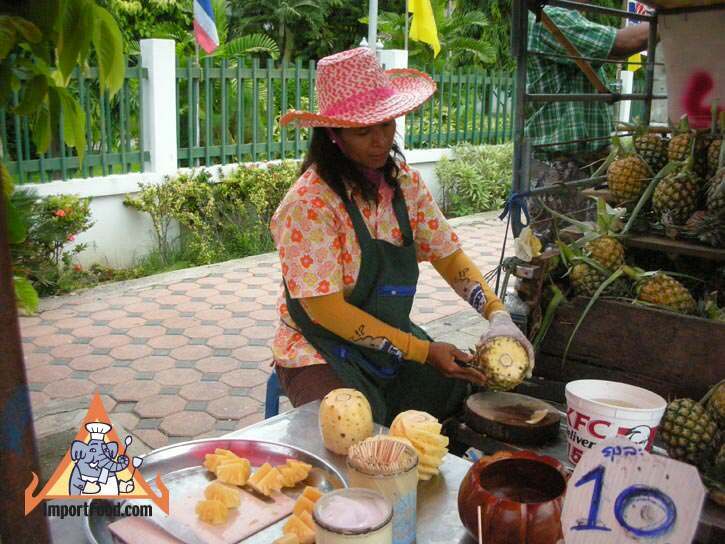 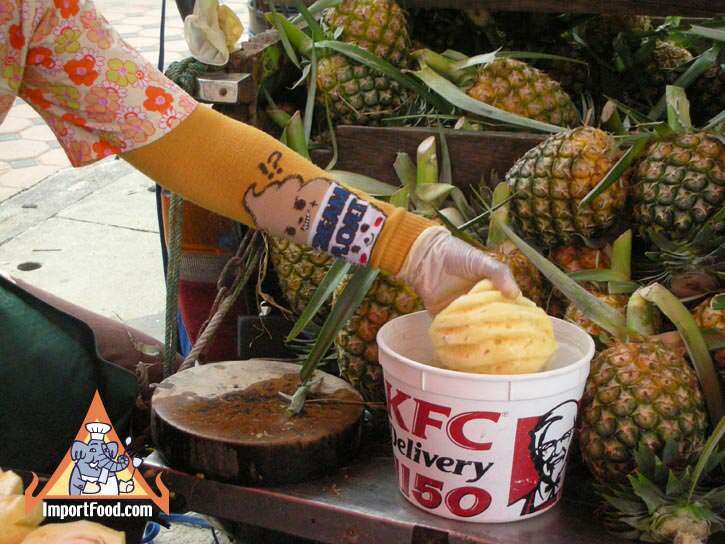 Loaded with pineapple, she prepares it on the spot and sells it for a great price. 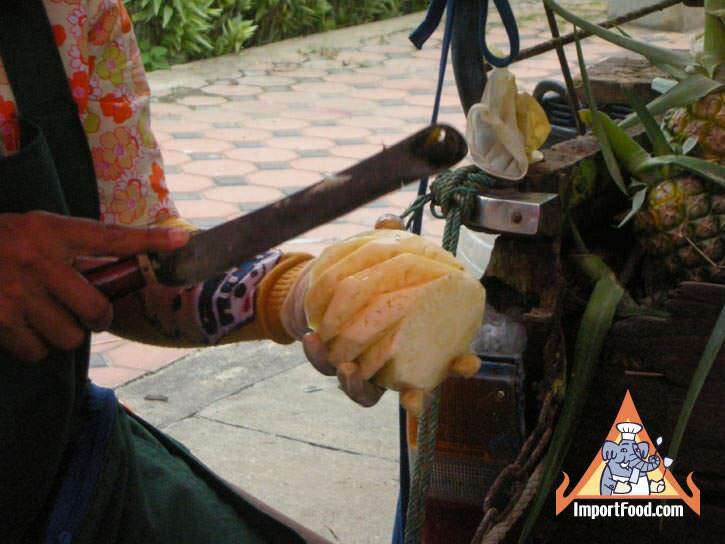 Note the tamarind cutting board, and Kiwi knives. 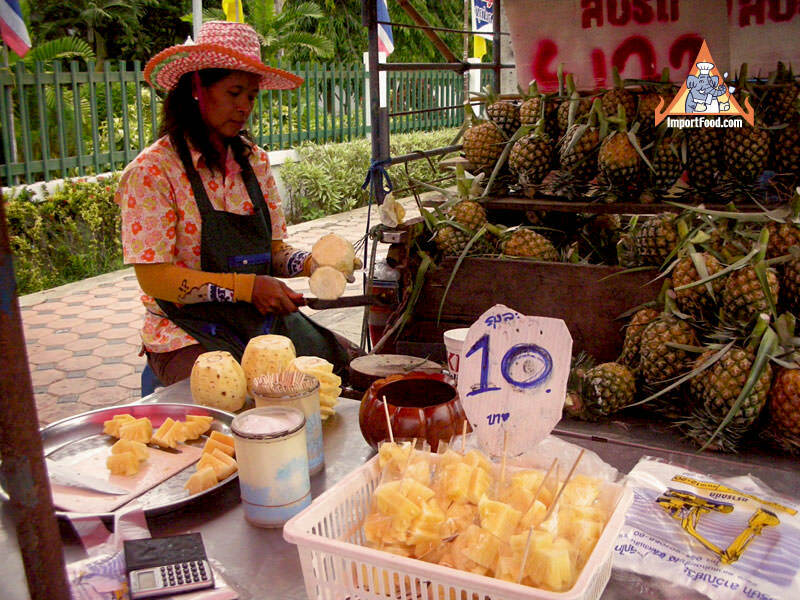 You might also like our story on how to peel and slice a pineapple.